While you are not required to have an attorney to draft a will, there are circumstances where doing it yourself, or using a template may lead to problems. Complications with previous marriages, divorce or blended families. You or your spouse are getting (re)married and could have complications with trusts, property ownership, or guardianship for your minor children. To find an estate attorney in your neck of the woods, select your state from the list below and we will share our GYST list with you. These attorneys have been selected based on their years of experience, recognition within their field and with a high ranking from consumers. Maybe. If you have a large estate, or any complications (international citizenship? child with special needs?) - you might need to. But certainly, if you have any questions or concerns, make sure you are covered and get professional advice. 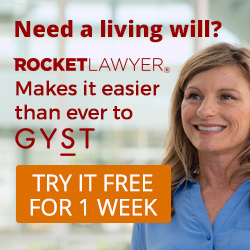 Check out GYST's Attorney Directory to find a lawyer in your state.